Recent research shows an alarming amount of toxic heavy metals leaching into soil and groundwater in East Delhi's Krishna Vihar industrial area. Credit: Curtis Palmer/Flickr (Picture only for representation). The Delhi High Court Wednesday expressed its concern over the increasing e-waste in the city and asked the civic bodies if there is any plan to dispose it. The query was in response to PILs claiming the government and civic agencies have not taken preventive steps against vector-borne diseases such as chikungunya and dengue. The civic bodies failed to give a satisfactory response on management of e-waste. 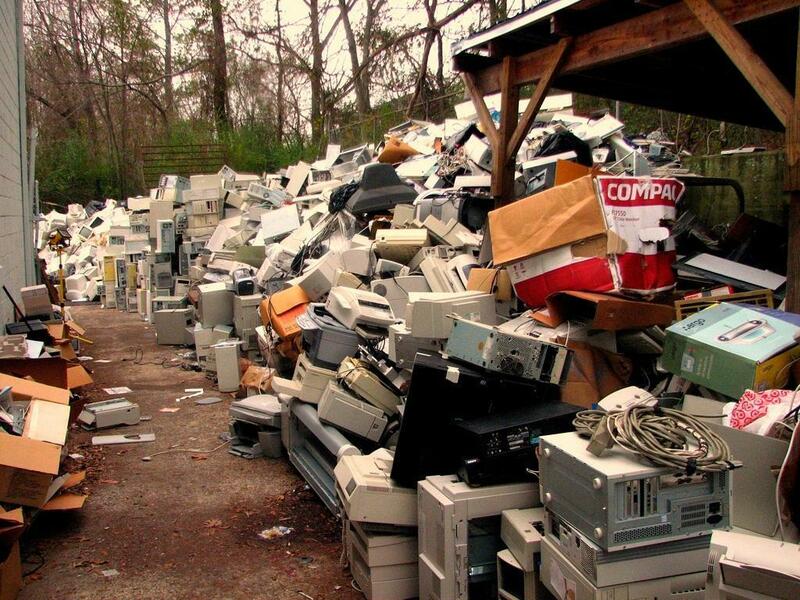 A bench of Acting Chief Justice Gita Mittal and Justice C Hari Shankar have directed the Municipal Corporation of Delhi and the Delhi Pollution Control Committee to make some effective policy to control rise of e-waste in city. A recent study conducted in East Delhi’s Krishna Vihar industrial area showed high amount of toxic heavy metals from e-waste is leaching into the soil and groundwater. The court also sought response from the Delh-based environmental non-profit, the Centre for Science and Environment head Sunita Narain on the issue, and asked the municipal bodies and the Delhi government whether there was any policy to deal with the disposal of electronic waste, saying that it is a critical area which has so far escaped attention. The next hearing is on April for further hearing directing the Delhi Cantonment Board to apprise the court whether the waste management by-laws were being implemented in the areas under its jurisdiction.